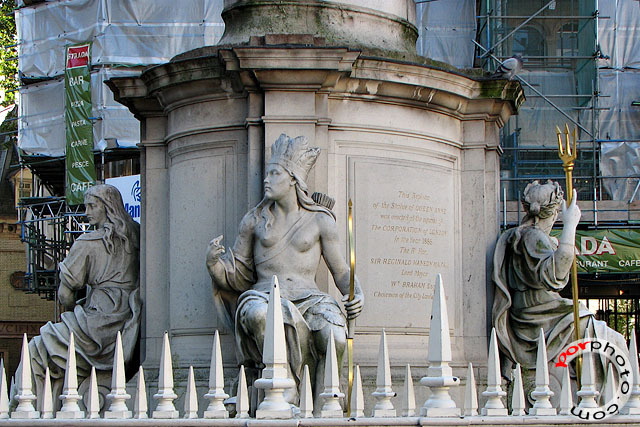 These are some of the prominent statues erected around St Paul's Cathedral. At the time of my visit, other than knowing that these are of someone important, I never did bother to look up who they were. On reviewing/reposting these photoes, I've found my answer. 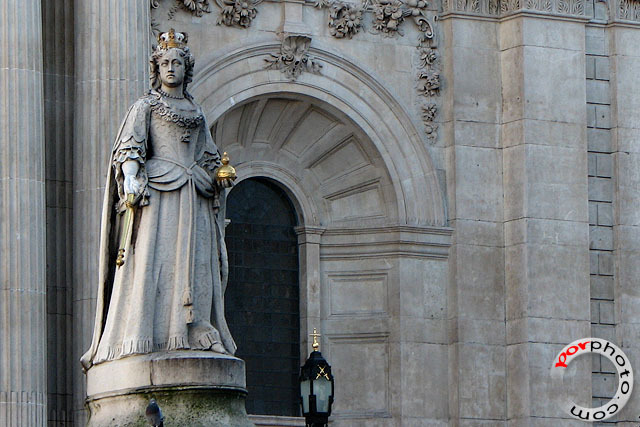 This is the statue of Queen Anne which stands outside the west front of St Paul's Cathedral. My sources (the internet) say that this is not the original that was erected in 1712, but a replica made by Francis Bird in 1886. As for these ladies around the base of the statue, they represent England, France, Ireland and North America, as at that time Queen Anne considered herself to be queen of them all.